Universal cutter set for leaves. 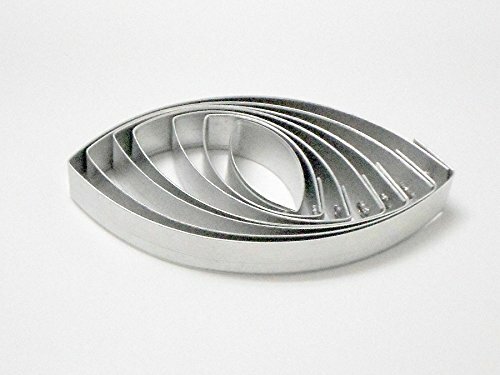 High quality Aluminum 7 cutters for sugar craft, wedding cake decoration, flower clay. Will not rust. Length of largest leaf 8 cm, width 4 cm Shipping by air mail with tracking number for check a trip of your order.